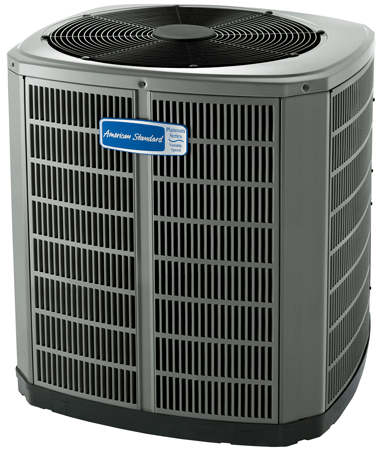 Air Conditioner Pro provides and installs American Standard air conditioners throughout Toronto, York Region and the rest of the GTA. We’ll help you choose and install the American Standard air conditioner that’s perfect for your home. Air Conditioner Pro has been providing and installing American Standard air conditioners in Toronto, York Region and the rest of the GTA for over 30 years. We recommend American Standard air conditioning units to our customers because they are high quality and energy-efficient. With proper installation and maintenance from a Air Conditioner Pro air conditioning technician new American Standard air conditioners will last for many years to come, and with great warranty options and Air Conditioner Pro protection plans you never have to worry about a break down or paying for parts or service. We also provide 24/7 emergency service for all American Standard AC units, which means we’ll be at your location on evenings, weekends, and holidays within 4 hours of receiving your call. Our Air Conditioner Pro technicians have the knowledge and experience necessary to help you choose the unit that’s right for your home and family. We’ll ensure that it fits within your budget and has the features and level of energy efficiency that you want for your home.